Perfect for the small business owner who has the occasional travel need, and who is also strongly keeping budget in mind, the no annual fee Capital One® Spark® Miles Select for Business makes a great business partner. Companies that spend tens of thousands of dollars a year can quickly earn enough rewards points or miles to dwarf a card's annual fee, but start-up businesses and other frugal companies may not always have that ability. The Capital One® Spark® Miles Select for Business might not be quite as well-known as some other business credit cards on the market, but for those with a modest monthly budget, it has its perks. Card members earn 1.5 miles for every dollar spent, and if you can average $1,000 per month with the card, for the first three months at least, you'll find yourself with 20,000 bonus miles, which translates to about $200 in travel credit. There are no blackout dates or seat restrictions, and you can even get employee cards for free should you have the need. Sign up now and receive a 0% intro APR on purchases for nine months (then, 15.24% - 23.24% (Variable)). If you plan to spend $1,000 or more monthly, Capital One® Spark® Miles for Business may be a better choice to earn greater rewards. One of the best things about the Capital One® Spark® Miles Select for Business credit card is that it comes without the need for brand loyalty. Rewards and bonus miles never expire and are not limited to specific companies. Also, should you travel internationally, there are no foreign transaction fees. Any time you travel you'll have access to Visa Business Benefits, including auto rental collision damage waiver, purchase security and extended warranty protection, and travel and emergency assistance services. This includes coverage for any damage caused by collision or theft when you rent an eligible car, as well as a wide range of emergency services including legal or medical referrals. 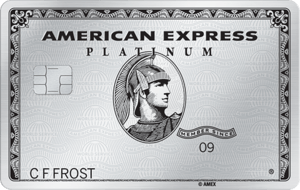 With credit card fraud at an all-time high, we also love the fraud protection benefit that comes with this card. Not only are cardholders not liable for purchases they did not make, they are also kept informed in real time of any suspicious activity on the account via a text, email, or phone call. The best part though is that this all comes at no extra cost to you. Talk about bang for your buck! Earning 1.5 miles on every purchase isn't bad, but it also isn't amazing, especially when comparing it to some other business credit cards that earn 2 miles per dollar on all purchases, such as the Capital One® Spark® Miles for Business credit card, compared below. The major trade off though is that there is no annual fee, and considering the fact that many credit cards offer only one mile or point for each dollar spent outside of bonus categories, a 1.5 mile earnings rate could be considered a great deal. This card is really ideal for small and/or new business owners who are okay with sacrificing major point earning potential in favor for no annual fees. 1.5 Miles per $1 on every purchase. The most obvious difference between these two cards are the sign up bonus offers. The Ink Business Preferred℠ Credit Card offers new users 80,000 bonus points once spending $5,000 in the first three months of account membership. Compare that to the Capital One® Spark® Miles Select for Business credit card's welcome bonus rewards offer of 20,000 points (earned once spending $3,000 in the first three months). That's $1,000 in travel money versus $200. 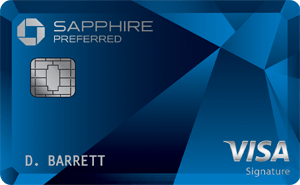 With the Chase Ink Business Preferred℠ Credit Card, users earn 3 points for every dollar spent on travel up to $150,000, however, only 1 point is earned on purchases made outside of the travel category. Again, with the Capital One® Spark® Miles Select for Business credit card, users earn 1.5 points on everything, no matter the purchase. Another thing to note is that with the Chase Ink Business Preferred℠ Credit Card, if you redeem points through Chase Ultimate Rewards, your points are worth 25 percent more. Are the Chase perks worth enough to offset its $95 annual fee? Only you can be the judge of that. One of our favorite perks of the Capital One® Spark® Miles Select for Business credit card — no need for brand loyalty — is what sets it apart from the Costco Anywhere Visa® Business Card by Citi. Only Costco members can apply for that card. That is brand loyalty at its best. Costco Anywhere Visa® Business Card by Citi cardholders earn 4 percent on gas purchases up to $7,000 a year, 3 percent on restaurant and travel purchases, and 2 percent on Costco purchases - then just 1 percent on everything else. Though the Capital One® Spark® Miles Select for Business credit card doesn't offer category bonuses or tiered rewards, it does offer flexibility. You choose when and where you shop and you'll be rewarded 1.5 points on every dollar you spend. It's as simple as that. If your heart lies with Costco, you know the choice you need to make. However, if you enjoy shopping around and not being tied to one store or website, the Capital One® Spark® Miles Select for Business credit card might be the card for you. The Capital One® Spark® Miles for Business card one-ups the Capital One® Spark® Miles Select for Business credit card all along the rewards route. The Capital One® Spark® Miles for Business credit card offers 2 miles on all purchases versus the Capital One® Spark® Miles Select for Business credit card's 1.5, and while they both offer one-time bonus rewards, the annual fee version of this card is a bit more substantial: 50,000 points once spending $4,500 in the first three months of account membership, good for $500 in travel rewards. Though the Capital One® Spark® Miles for Business credit card might offer some stronger rewards than the Capital One® Spark® Miles Select for Business credit card, there are a couple big differences to point out between the two: the Capital One® Spark® Miles Select for Business credit card has no annual fees, as well as 0 percent purchase APR for the first 9 months (then 15.24% - 23.24% (Variable)), compared to the Capital One® Spark® Miles for Business card's 19.24% (Variable) APR, and annual fee ($0 intro for first year; $95 after that). What's more important to you? No annual fees and a little extra time to pay of some large purchases interest free, or extra bonus miles? Again, only you can decide. The best applicant for the Capital One® Spark® Miles Select for Business credit card is someone who wants flexibility with how they use their credit card (and earn rewards), but who doesn't use their card quite enough to offset the cost of an annual fee. This card is also a great option for any small business owner who is looking for a little extra time to pay off a large expense, thanks to the introductory, 9 month, 0 percent purchase APR offer.